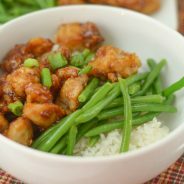 When we go out one of my favorite things to order is Sweet and Sour Chicken, but it’s even better when I can make a better version at home! 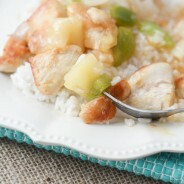 I love making this recipe with my own sweet and sour sauce. 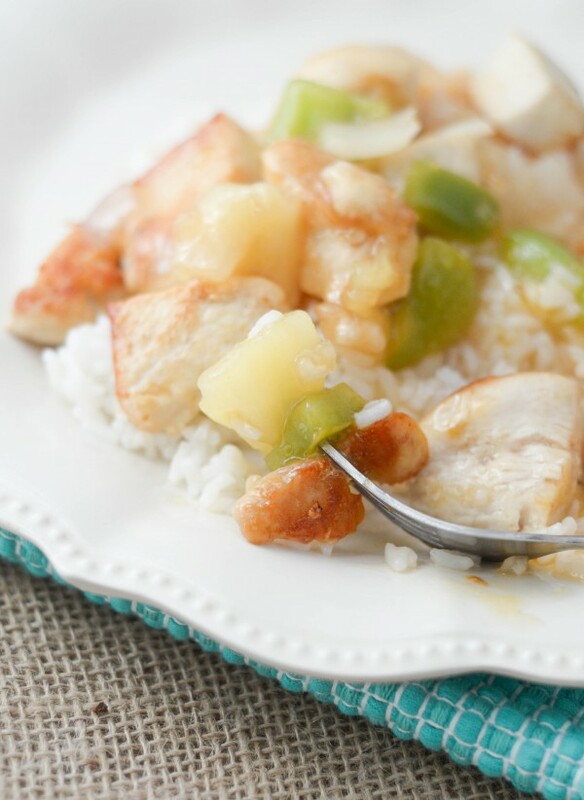 It’s no secret in our home that one of my favorite meals is Sweet and Sour Chicken, I absolutely love it. 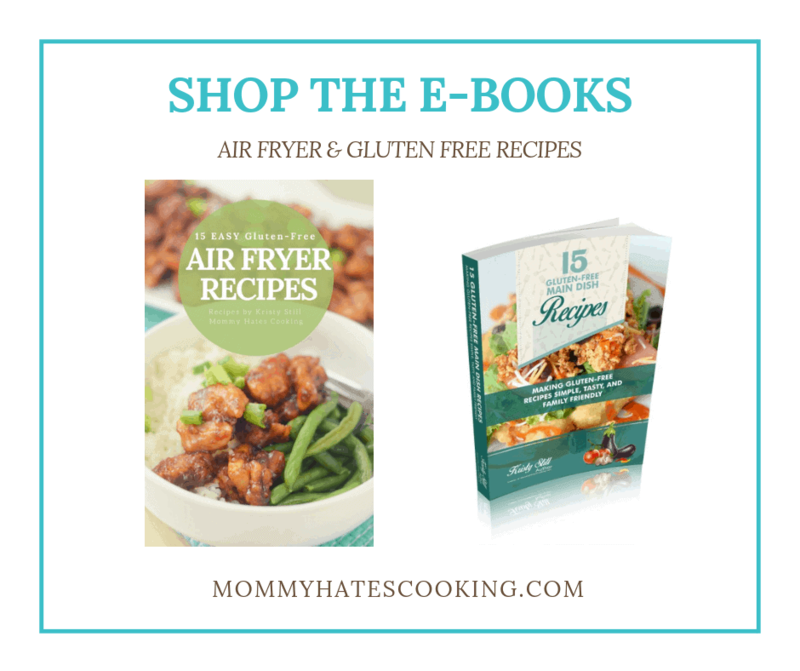 I especially love it from Pei Wei because they have a gluten-free option too. It’s wonderful but it’s also very breaded. Don’t miss out, sign up for the Newsletter here! 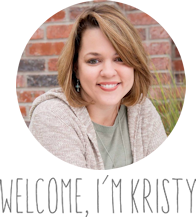 This will include recipes and menu plans. I heard my fitness instructor in my head and thought to myself just how much better it would be if I skipped the breading. Guess what? It turned out delicious even without the breading plus it cut down the calories too. Perfection! 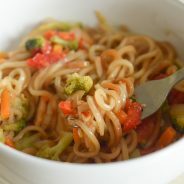 Now, the only thing I would have done differently was to add more gluten-free soy sauce to the actual sauce but I opted to just add it at after I had everything prepared. I found that actually worked out better because many do not like the extra salt that soy sauce brings, so this allowed each person to add it up until their own taste. I literally had nothing but crumbs left after this meal. We have been in a rice habit lately, so the chicken paired over the rice with sweet and sour sauce on top was just heavenly. 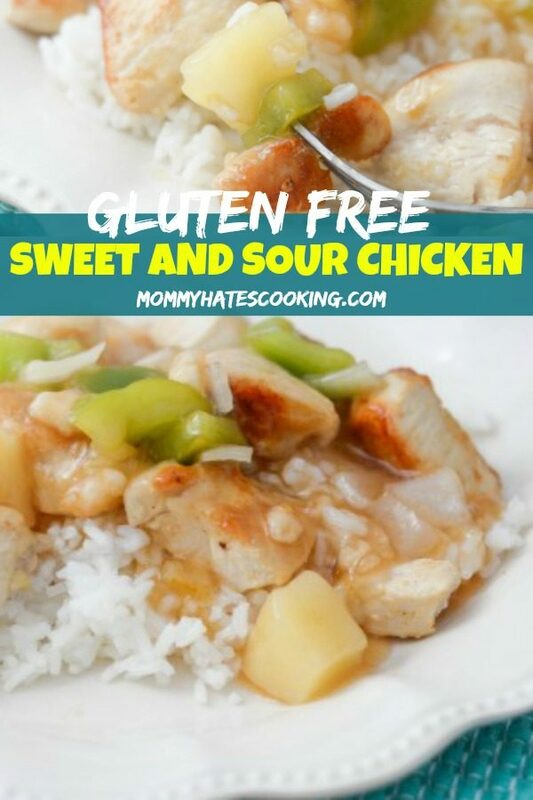 Are you a fan of sweet and sour? 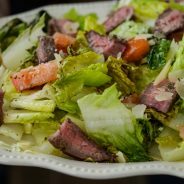 It ranks right up there with Mongolian Beef for me, those are two of my favorite meals when we go out to Asian restaurants. It’s always nice when you can make your own version at home too. 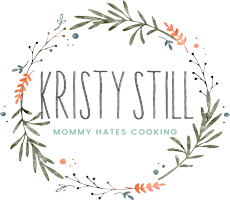 Remember to sign up for the newsletter, so you don’t miss a recipe. 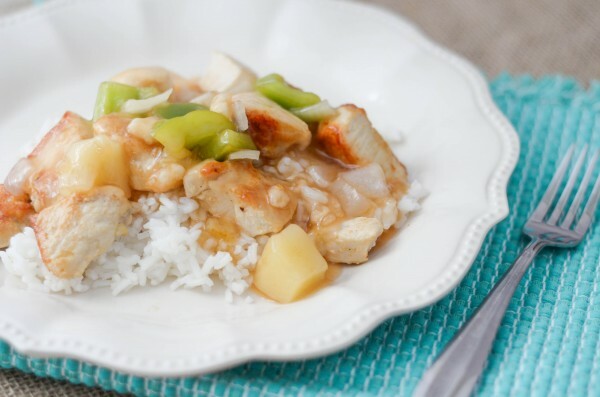 Make a quick and easy dinner with Sweet and Sour Chicken, plus it can be made gluten free too! Begin by cutting the chicken into small cubes, set aside. Warm up the olive oil in a cast iron skillet along with the garlic. Add the chicken and cook until well done. 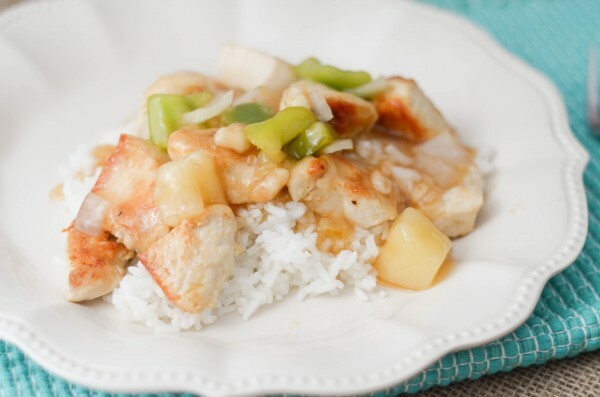 While the chicken is cooking in a medium sized saucepan, add the pineapple chunks with juice, pepper, onion, 1 1/2 Cups water, sugar, and vinegar. Whisk well then add the soy sauce and ketchup. Whisk well until it reaches a boil. Once boiling, whisk in the cornstarch and water and stir until it's thickened. Serve the cooked rice, topped with the cooked chicken and add the sauce. Add additional soy sauce as needed to your taste. I love sweet and sour!! 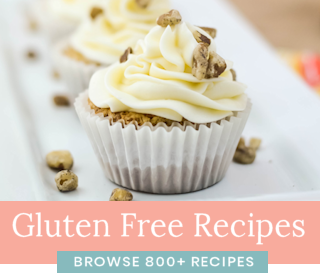 This looks like a great (aka easy) away to make it and hae it taste terrific!